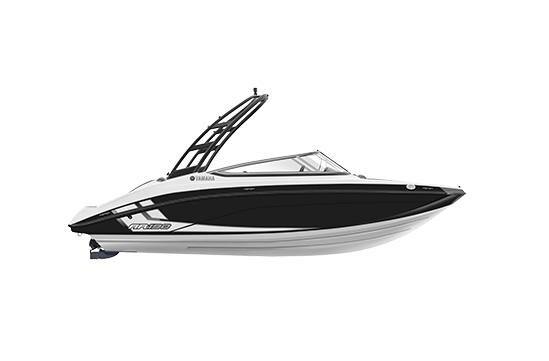 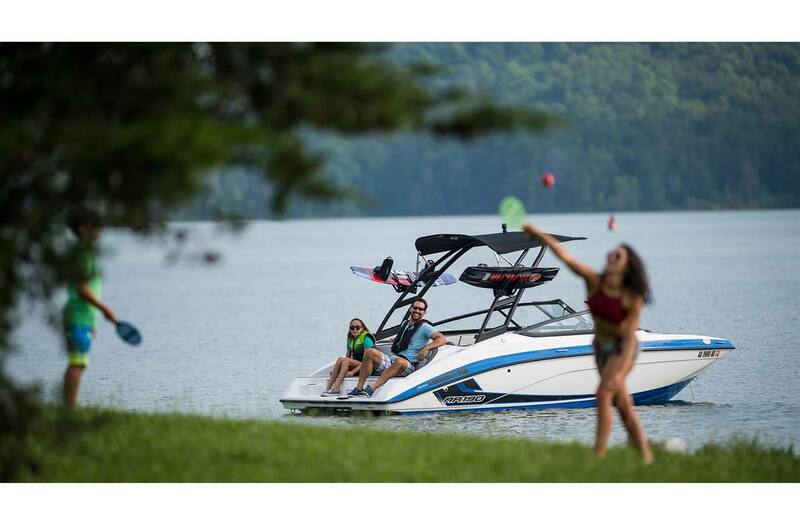 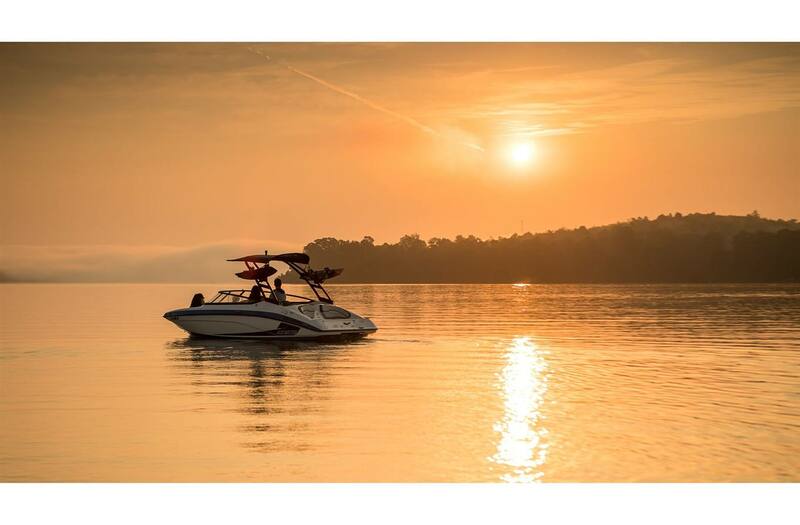 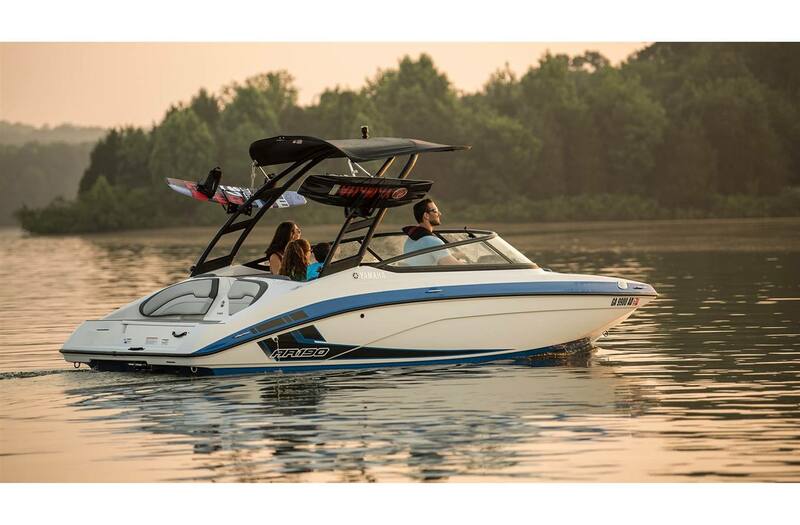 Tower: The forward-swept aluminum tower is perfect for all watersports fun. 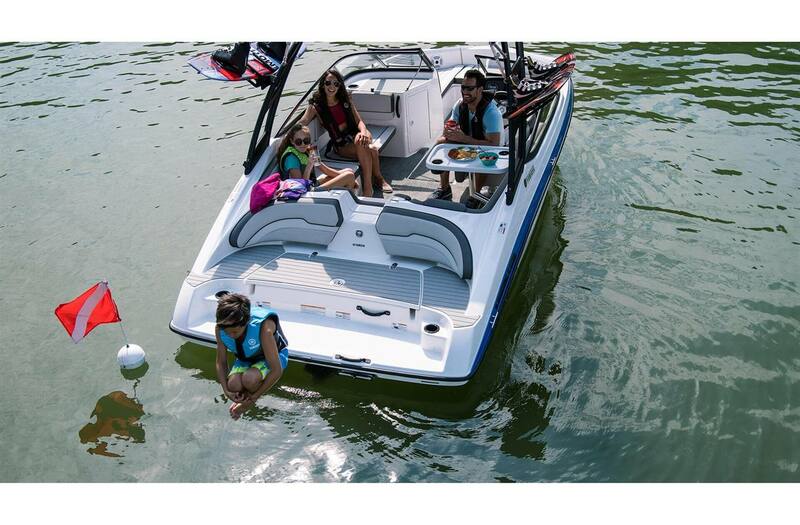 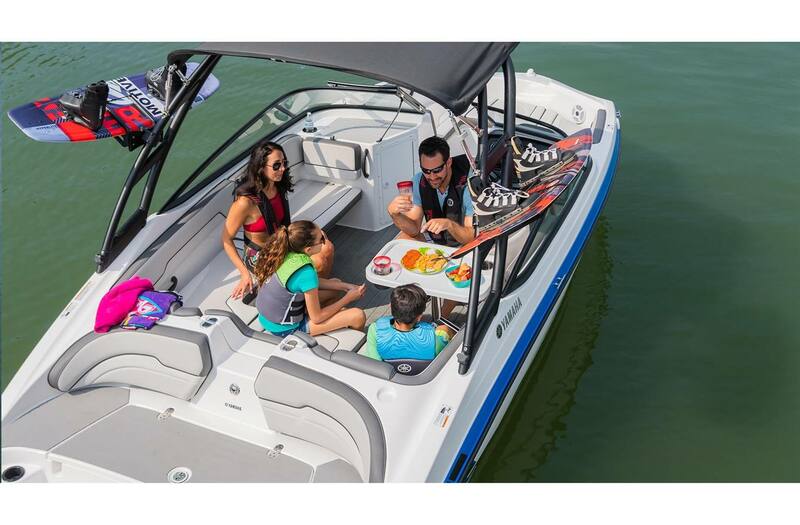 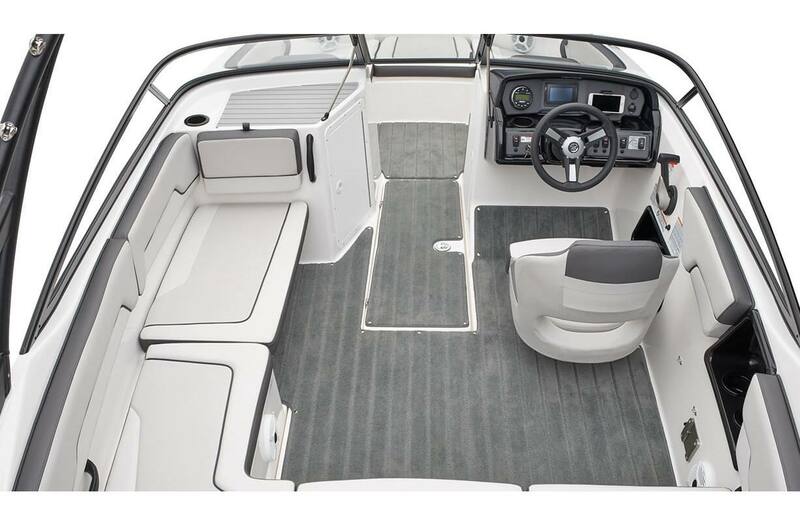 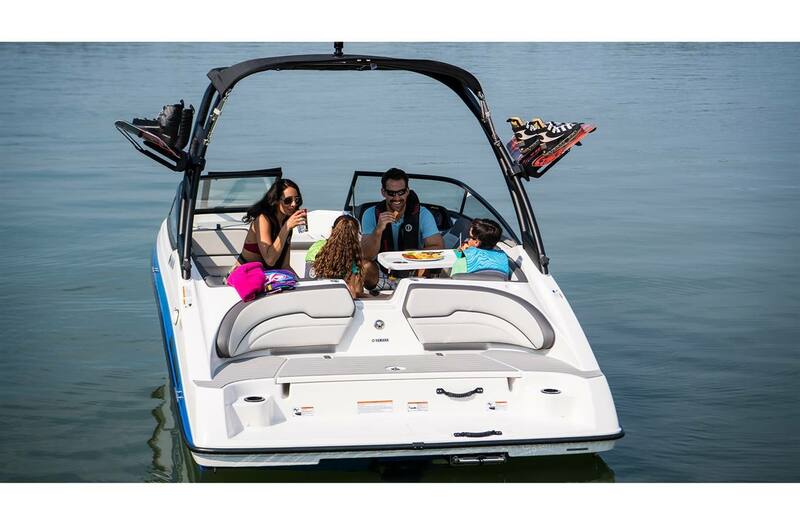 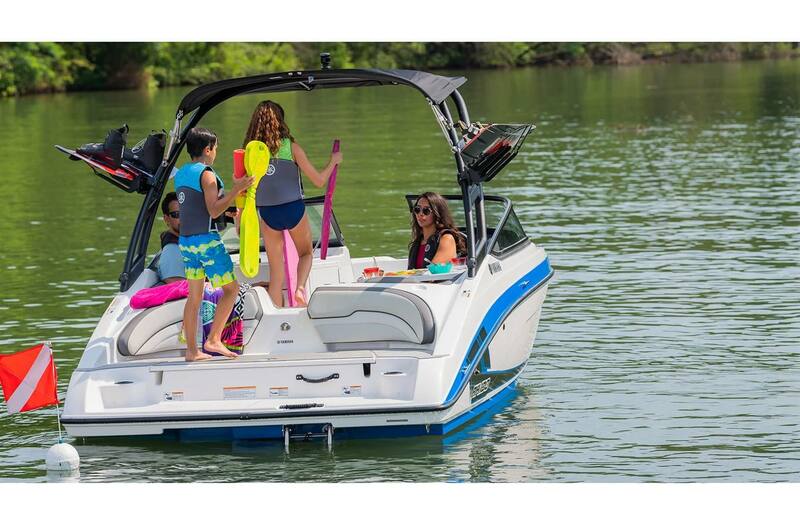 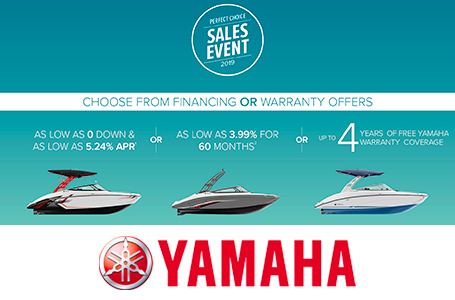 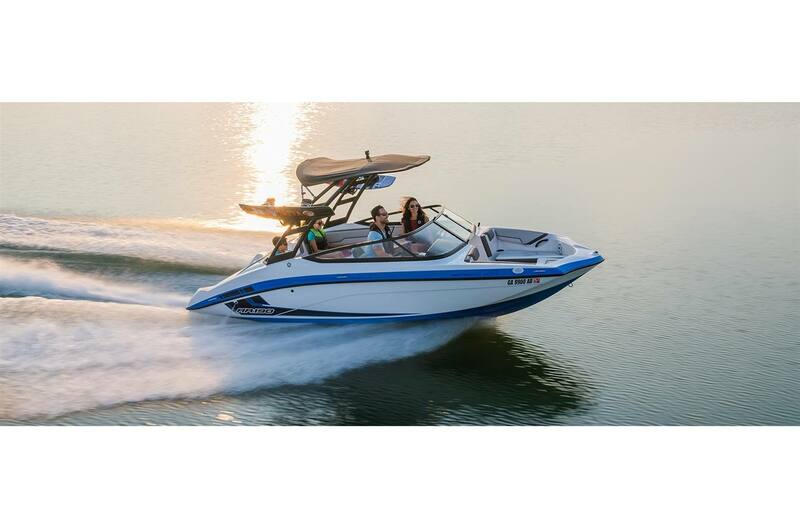 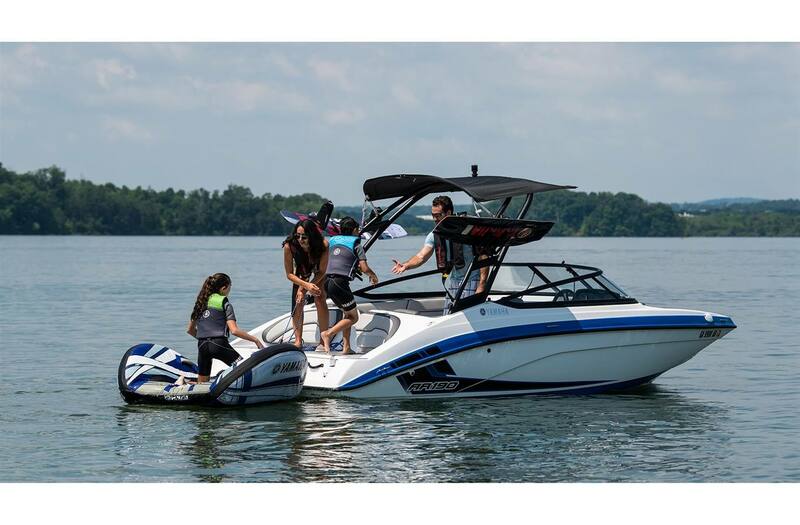 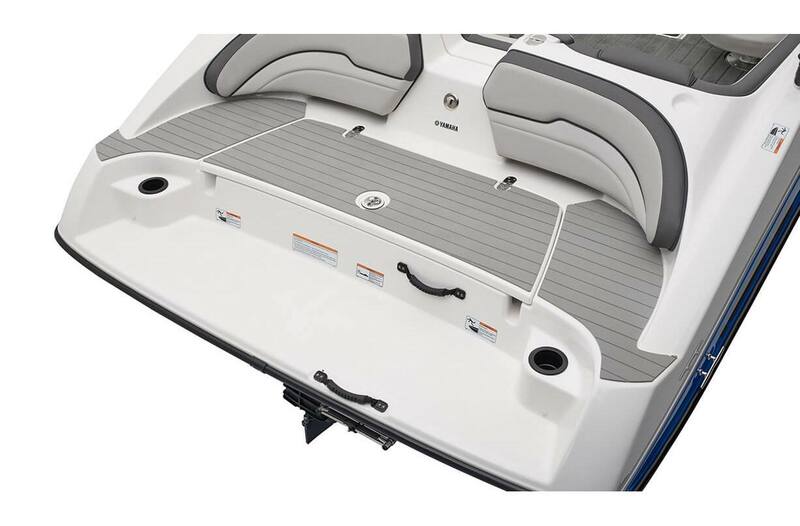 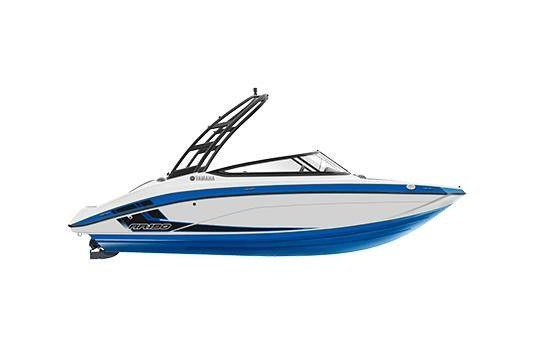 Swim Platform: Yamaha's signature swim platform design with beverage mounts , backrest cushions and access to the exclusive pump cleanout ports. 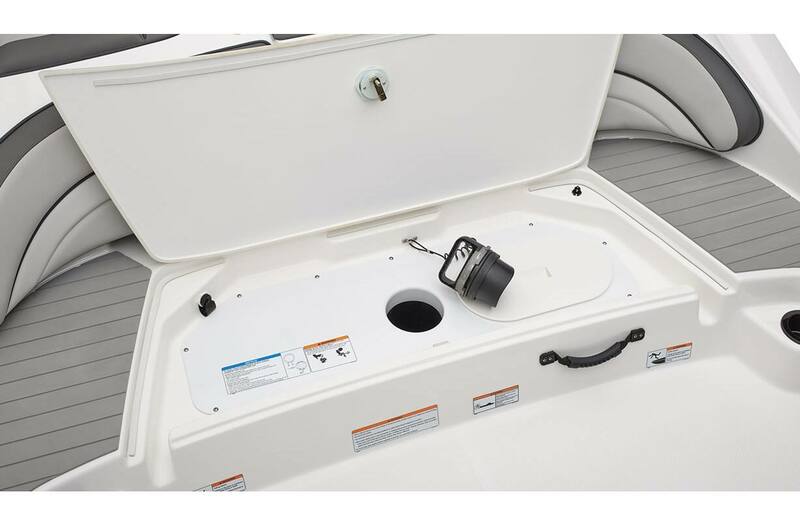 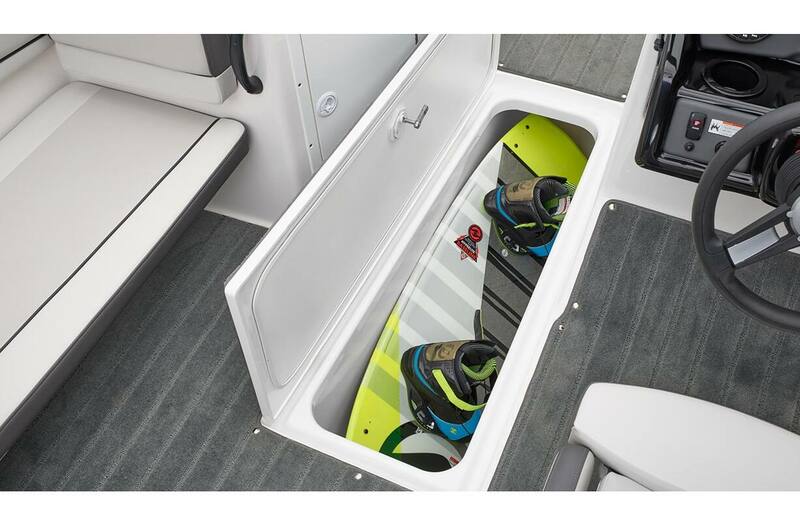 Innovative Pump Cleanout Ports: Featuring a simple twist-to-lock design, Yamaha's proprietary cleanout ports provide quick access to the jet pumps. 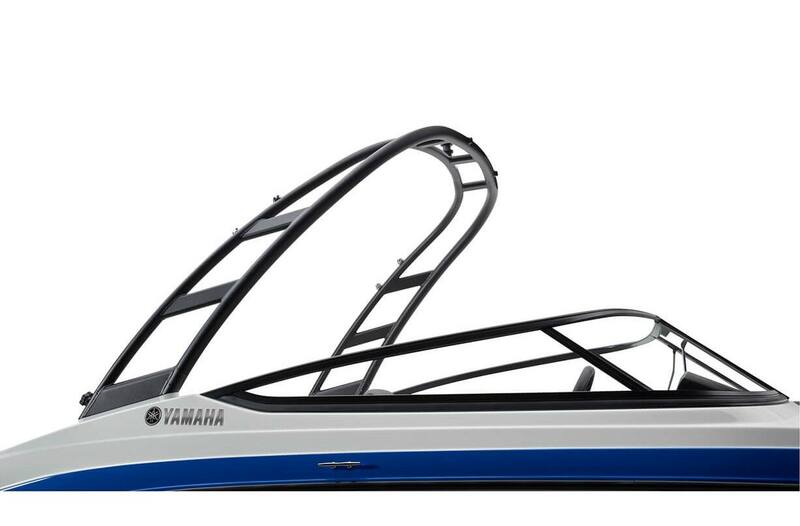 In-Water Height (Bridge Clearance): 7 ft. 6 in.